Dr. Daniel Scholten is Assistant Professor at the faculty of Technology, Policy and Management of Delft University of Technology, the Netherlands. He also is a member of the research panel of the IRENA global commission on the geopolitics of energy transformation, a non-resident fellow at the Payne Institute, Colorado School of Mines, and an advisor and guest lecturer at the geopolitics of energy course, University of Stavanger. Lastly, he is member of the education committee of the ‘Technische Bestuurskunde’ bachelor. Dr. Scholten specializes in the geopolitical implications of renewable energy and the governance of renewable energy systems. His research and teaching combine engineering insights with (institutional) economics, political science, and international relations in order to identify, interpret, and address societal implications of the transition to renewable energy. Occasionally, he also writes on European integration. He has published in such journals as Technical Forecasting and Social Change, Energy, Energies, Energy Research and Social Science, Journal of Common Market Studies, Sustainability, and European Review. His current activities revolve around ‘the geopolitics of renewables’, the construction of a dedicated blogpost on the topic, and two new research avenues: a theory on (renewable) energy geopolitics and the multi-speed energy transition in Europe. 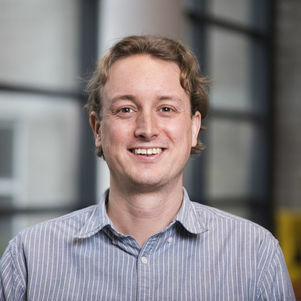 In the past, Dr. Scholten was a visiting scholar at the European Centre for Energy and Resource Security of King’s College London, an affiliated research fellow at the Energy Program Asia of the International Institute for Asian Studies in Leiden, and a lecturer of International Political Economy at Webster University Leiden. He also was the managing editor of the international journal Competition and Regulation in Network Industries. He defended his dissertation on the organization of future energy systems at the TU Delft in 2012 and holds degrees in Political Science (Radboud University, 2003) and International and European Relations (University of Amsterdam, 2006, with distinction). Dignum, M., A. Correlje, M. Groenleer and D. Scholten 2018. “Using Visions as a Form of Governance; Analyzing the Gas Target Model”, Energy Research and Social Science, Special issue on energy and the future, Vol. 35, 193-204. Van de Kaa, G., D. Scholten, J. Rezaei and C. Milchram 2017. “The Battle between Battery and Fuel Cell Powered Electric Vehicles: A BWM Approach”, Energies, Vol. 10, No. 11, 1707. Scholten, M. and D. Scholten 2017. “From regulation to enforcement in the EU policy cycle: a new form of functional spillover?”, Journal of Common Market Studies, Vol. 55, No. 4, 925-942. Scholten, D., M. Bazilian, I. Overland and K. Westphal 2018. The Geopolitics of Renewables: New Board, New Game. Report for the IRENA global commission (confidential). Scholten, D. (ed.) 2018. The Geopolitics of Renewables. Springer Nature. Scholten, D. 2018. “The Geopolitics of Renewables - An Introduction and Expectations”, In Scholten, D. (ed. ), The Geopolitics of Renewables. Springer Nature. Scholten, D. and R. Bosman 2018. “The Strategic Realities of the Emerging Energy Game - Conclusion and Reflection”, In Scholten, D. (ed. ), The Geopolitics of Renewables. Springer Nature.